1).Which is the most widely used input device? 3).A single byte represents __________ values. 5).The subsystem of the Kernel and hardware that cooperates to translate virtual to physical addresses comprises_______. 6).If the _______bit in X. 25 standard is set to 1, it means that there is more than one packet. 7).A pre – designed document that already has coordinating fonts, a layout, and a background is called as______. 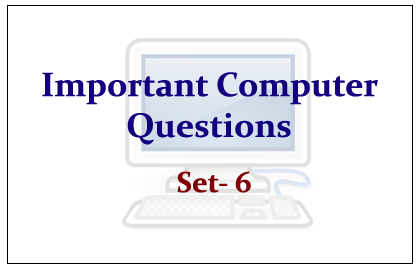 8).A personal computers connect together to form a ______. 9).Computer language used on the Internet is______.